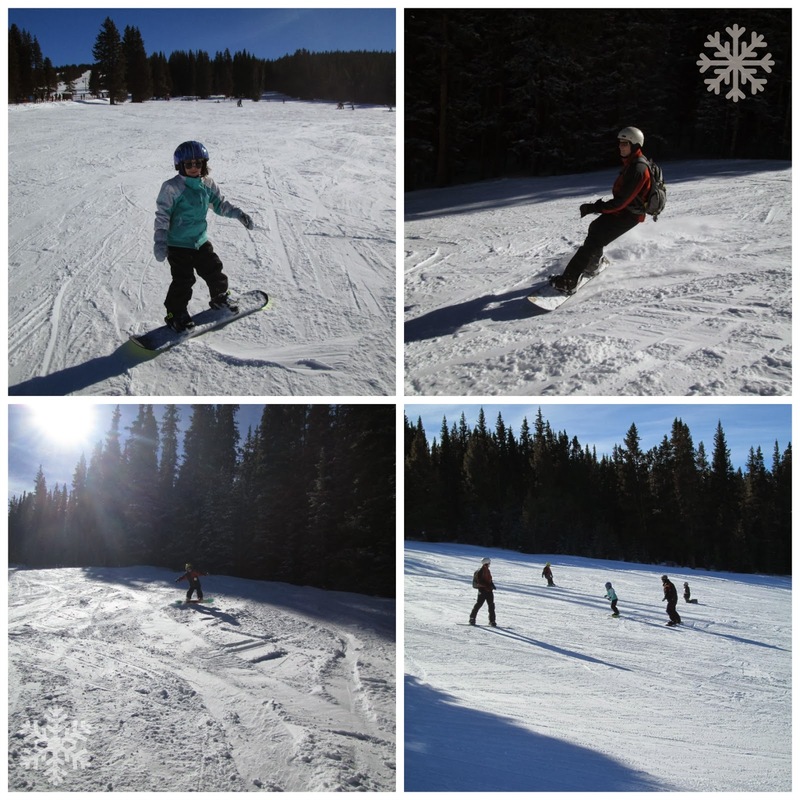 We spent the New Year snowboarding at a small ski hill in Colorado. It was fun! 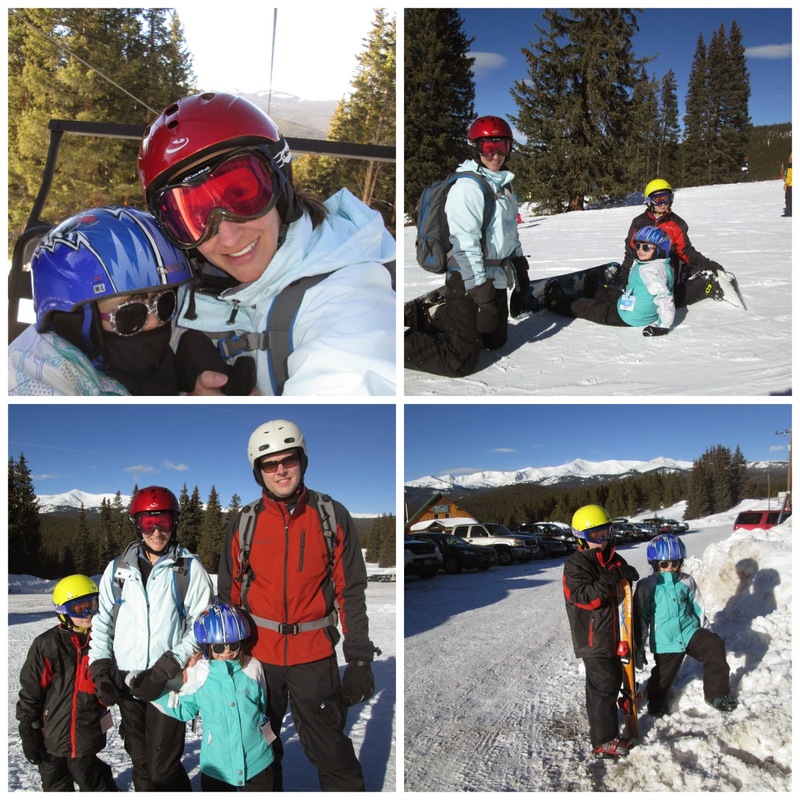 We met some family there and spent 2 and a half days on the slopes. Hard to believe we're all on a snowboard now. The kids still take turns on the one pair of skis that we have. They have adjustable boots, so Biker Boy just has to adjust the boots with a tool in his bag when the kids want to switch. 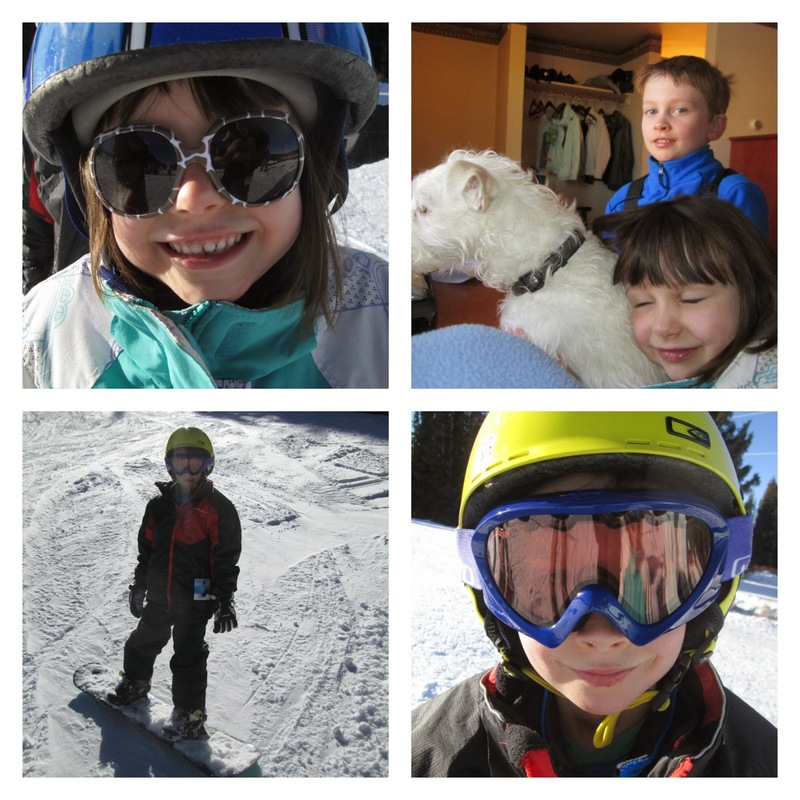 We have 2 snowboards (old K2 models that we got spectacular deals on) and the kids each use one of those. Chewy took an all day snowboard lesson our first day. She was in a class with another little boy, so it was a pretty private lesson. We told the instructor she probably wouldn't make it all day and she didn't. The girl was tuckered out by 1:30, but took to the skis for the rest of the day. I don't blame her. I got tuckered out snowboarding too. We had a lovely time. We stayed in Leadville, which is the highest incorporated city in the US. Yep. We had a lovely time and stayed in a pretty decent place that allowed pets. Ranger got to come along for the fun. Our first day was warm and sunny. The second day was sunny, but cooler and windy. 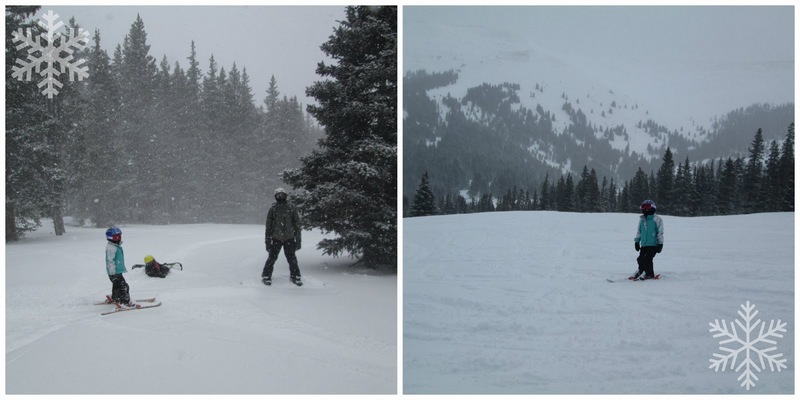 And our third day was a powder day! Whoopie! But it was cold. My toes were frozen. So were Chewy's. We made a few runs and then went in for hot chocolate while the boys finished out the rest of our time. Then it was a kinda long drive home. Not too bad of a drive to go skiing in CO.
And back to reality. The kids are taking forever with school today. F-O-R-E-V-E-R. We've got to get back into the swing of things. I thought I was making it easy for them today, but apparently they don't think so. Maybe tomorrow will be better. I'm touching up weeks 13-16 of the science curriculum and will hopefully post that later this week. Then I'm working on weeks 17-20. Lots of work to do. Plus I've got to renew my teaching license, that's on the agenda for this month. And a few photography posts. And I want to play with my camera. But laundry is calling my name. Plus some dancing. The kids and I are listening to the "Frozen" soundtrack for about the 100th time in the last week. Maybe that's why we're not getting anything done. We're all singing.